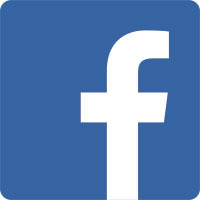 Australia Dental Burpengary’s facebook competition ends soon so don’t forget to visit our Facebook page!!!. Dr Terry wants to give away a free Power Pikster. All you have to do to enter is guess how many Pikster’s you think are in the bowl and you could win. One guess per person please, that way everyone has a fair chance at winning, Moreton Bay region entrants only thank you!. The competition will end on the 12th of February at 12pm 2018 when the winner with the first correct or closest guess will be announced. Make sure you get your guess in soon! !